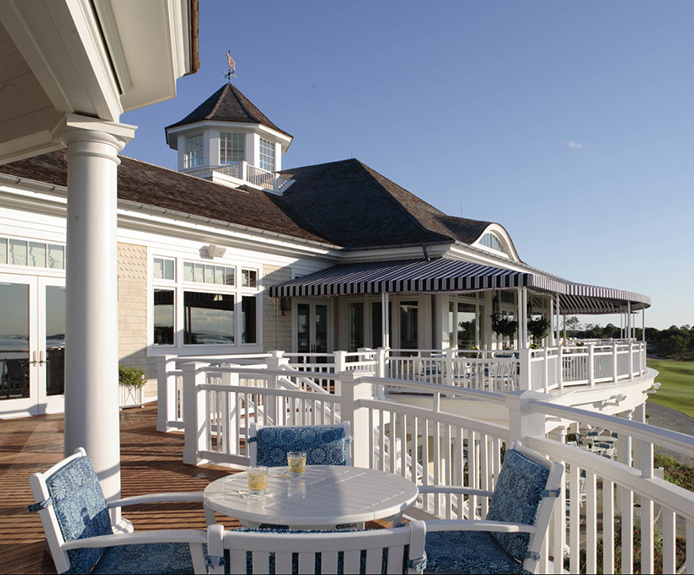 We know when it comes to your CLUB or RESORT member experience is paramount. 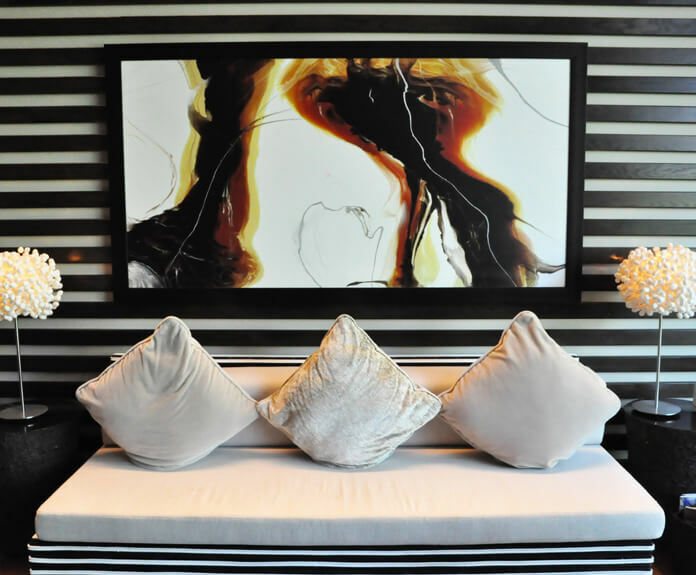 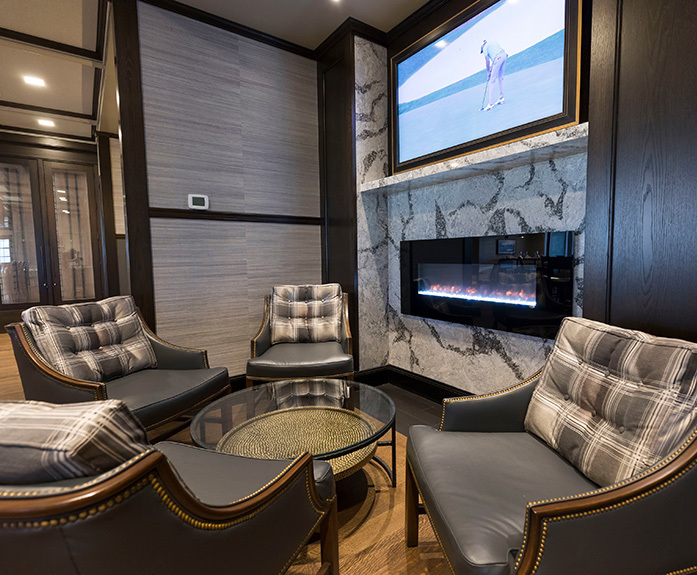 OLA’s engineers listen to who your clientele is; we examine the site and surrounding environment to design spaces that maximize guest satisfaction. 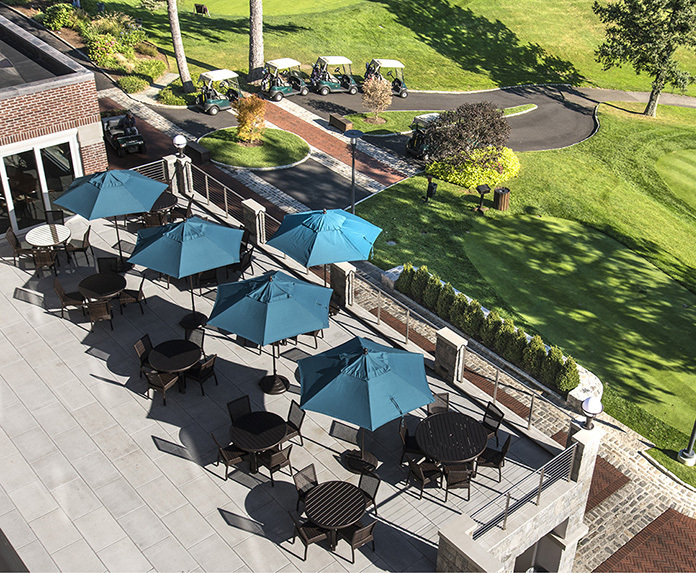 Extensive interior renovation, extension of the pro shop, and addition of a new outdoor dining terrace with a storage area underneath totaling 22,500 square feet. 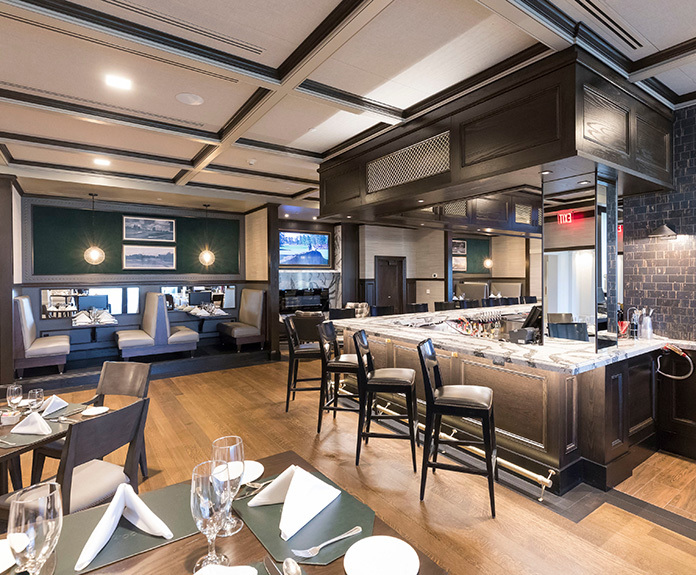 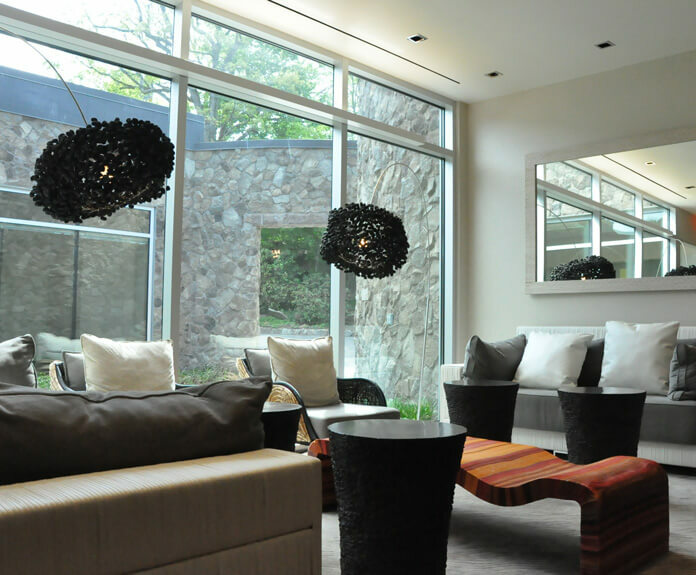 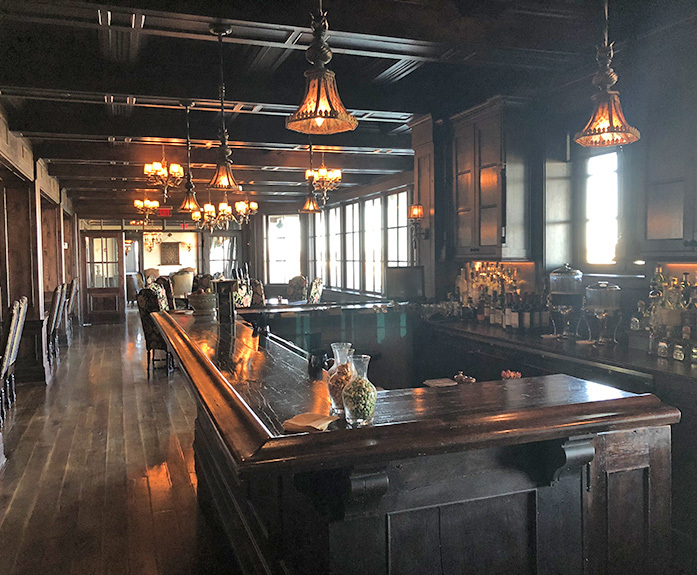 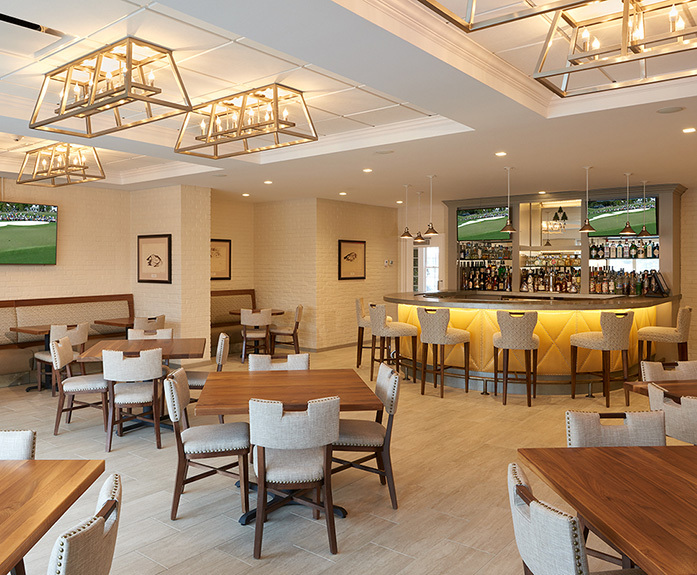 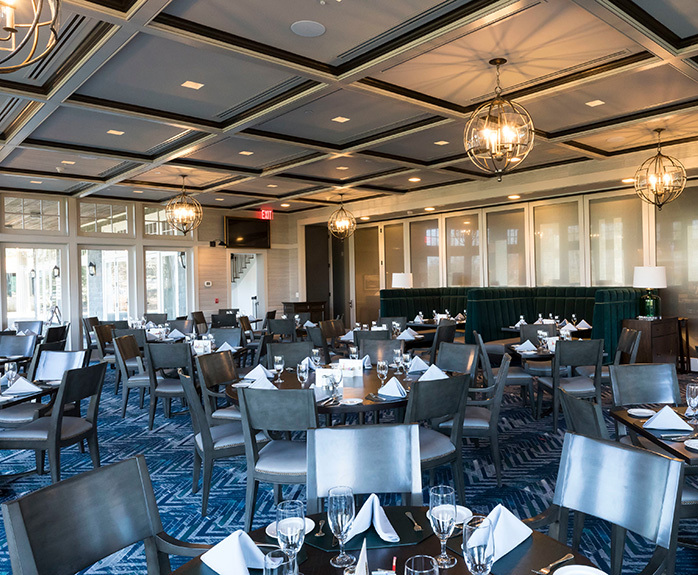 The interior renovations included the main dining room, an improved lounge and a new bar, an additional service kitchen, updated main lobby and new lower lobby and updating all interior finishes on the main level. 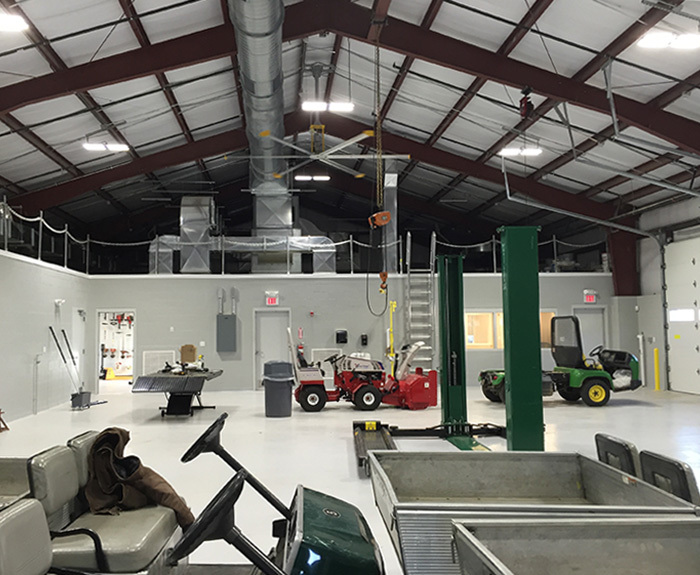 HVAC work included kitchen exhaust and makeup air systems, golf cart storage exhaust system, and modifications to existing HVAC systems to serve the interior renovations. 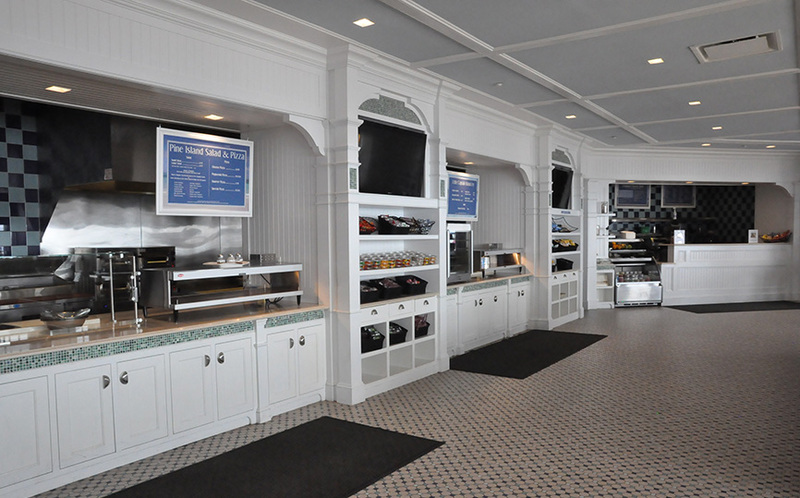 Significant plumbing system modifications were required for the new kitchen and bar area. 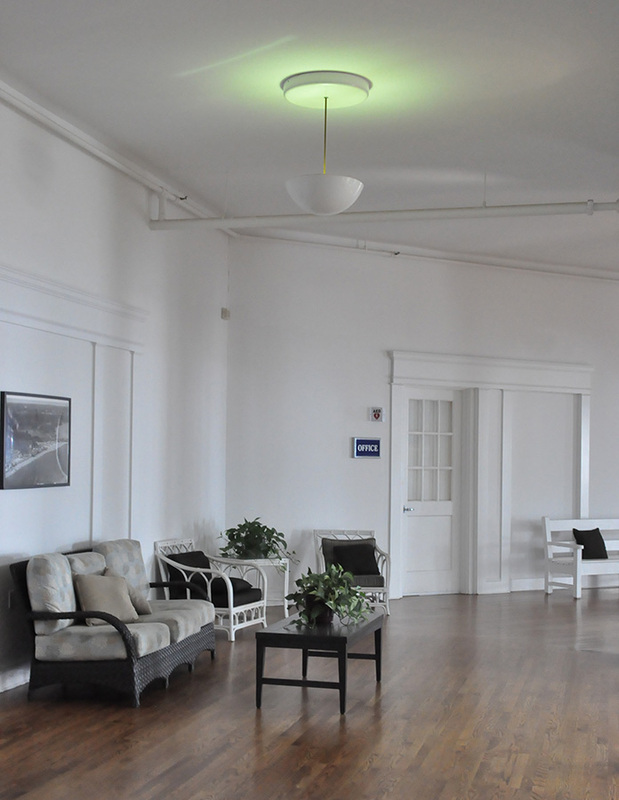 Energy efficient lighting and lighting control systems were installed throughout the renovated areas. 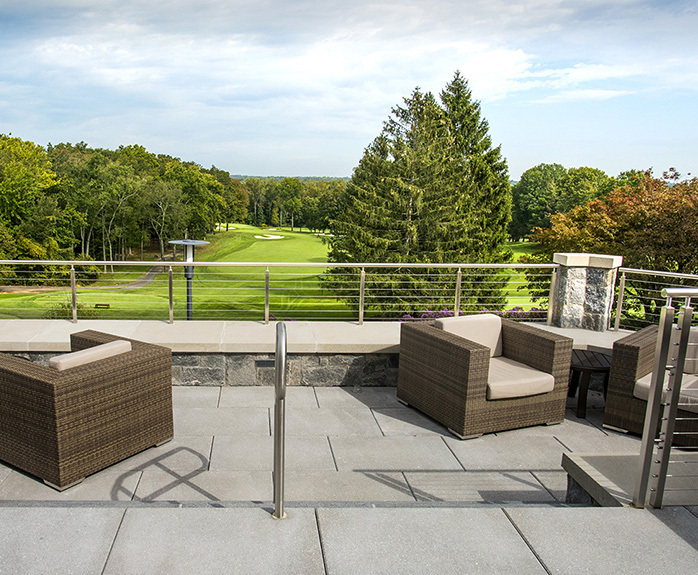 New private golf club built on 470 acres of former industrial land overlooking the New York Harbor. 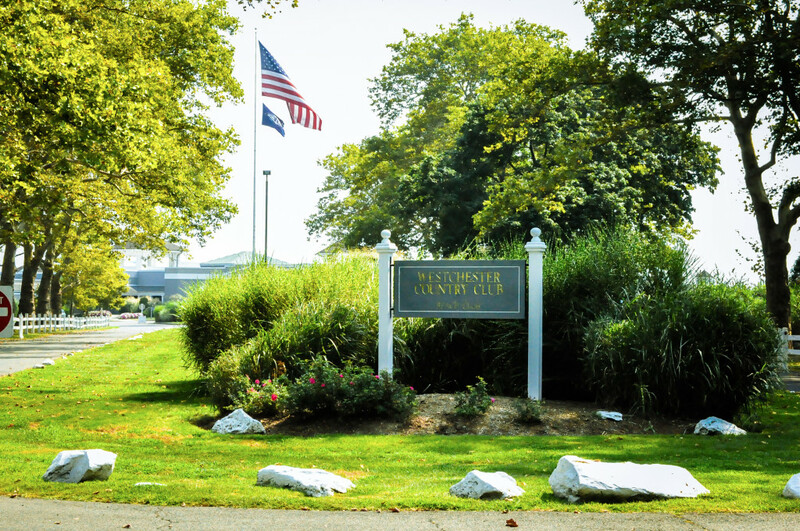 OLA designed the site electrical and municipal water booster system for the site, which includes a ferry dock, a helipad, and docks for ultra- and mega-yachts. 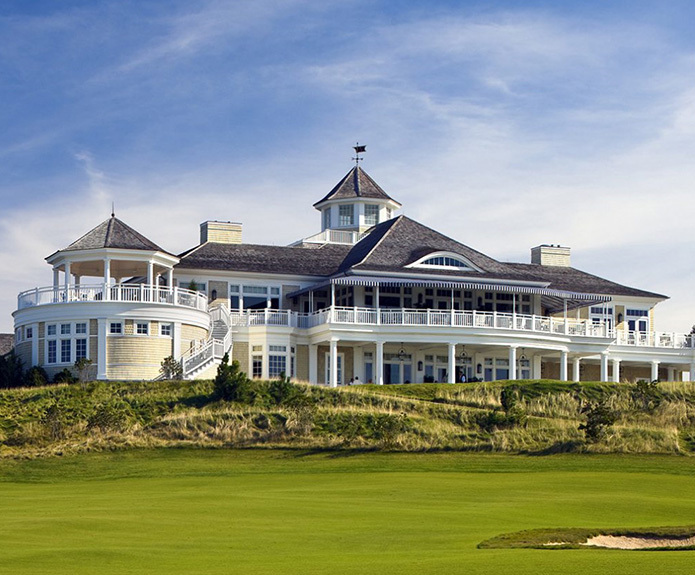 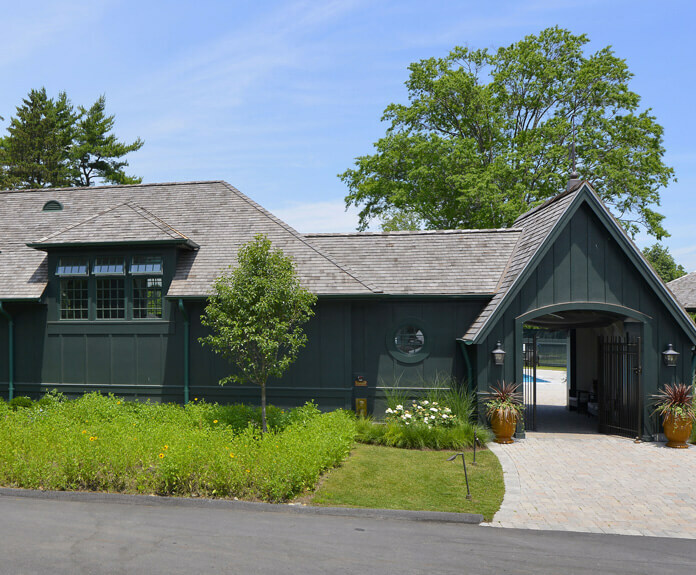 OLA also designed the mechanical, electrical, plumbing, and fire protection systems for the 33,000 square foot, two-story clubhouse and the gatehouse. 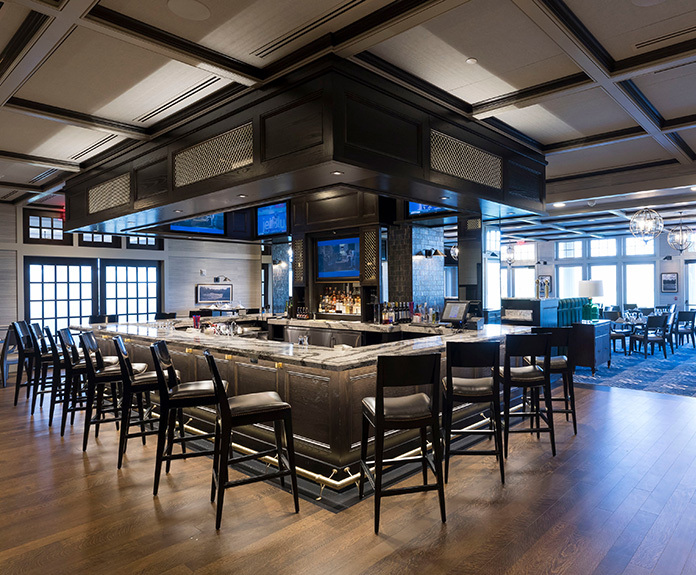 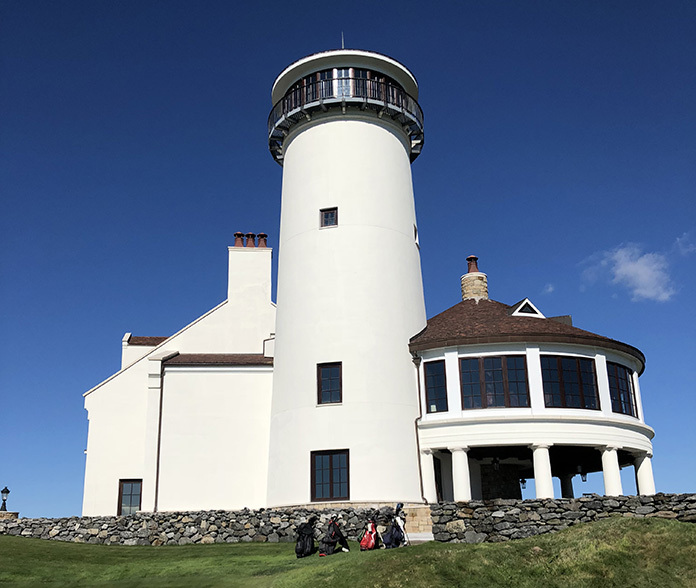 The clubhouse design includes an 80-foot-tall lighthouse, meeting rooms, offices, locker rooms, commercial kitchens, multiple dining rooms and bars. 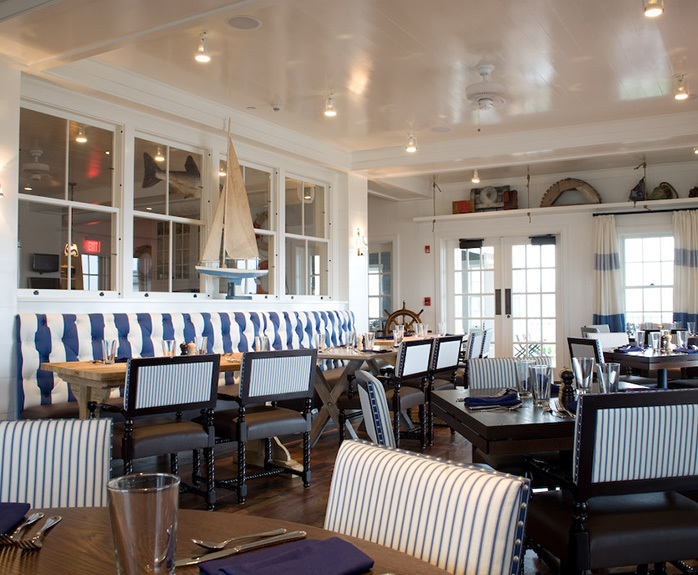 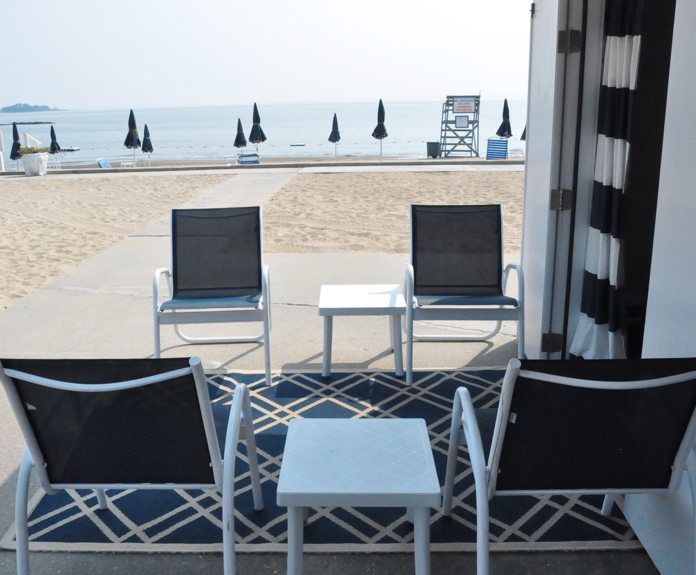 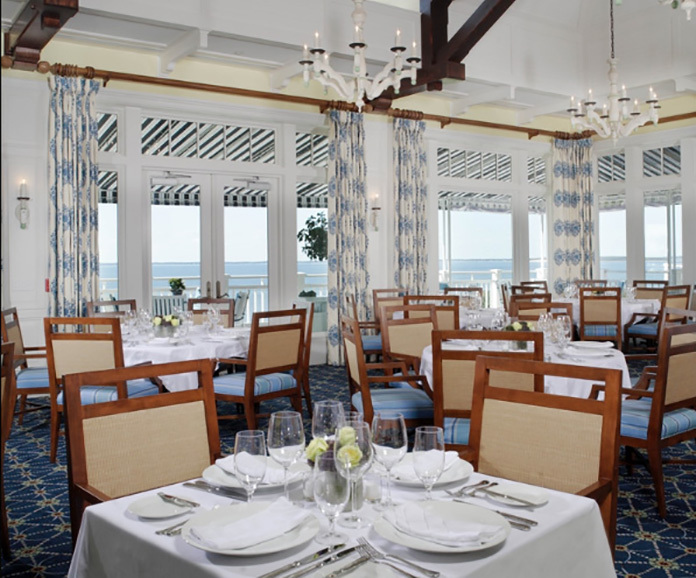 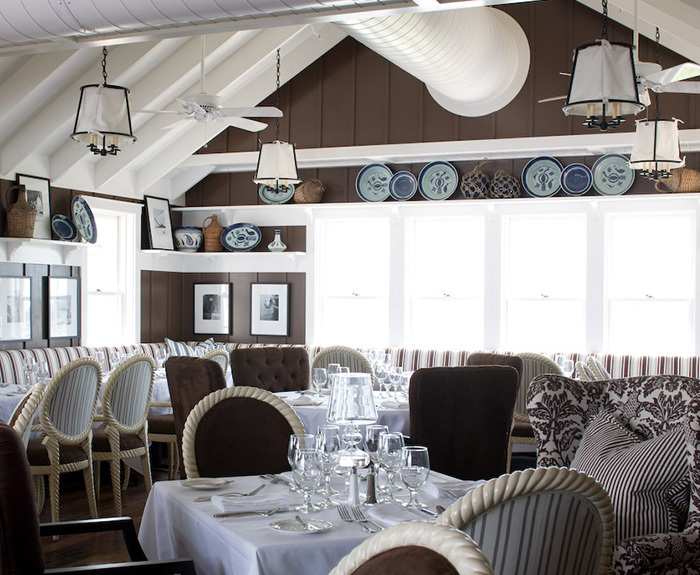 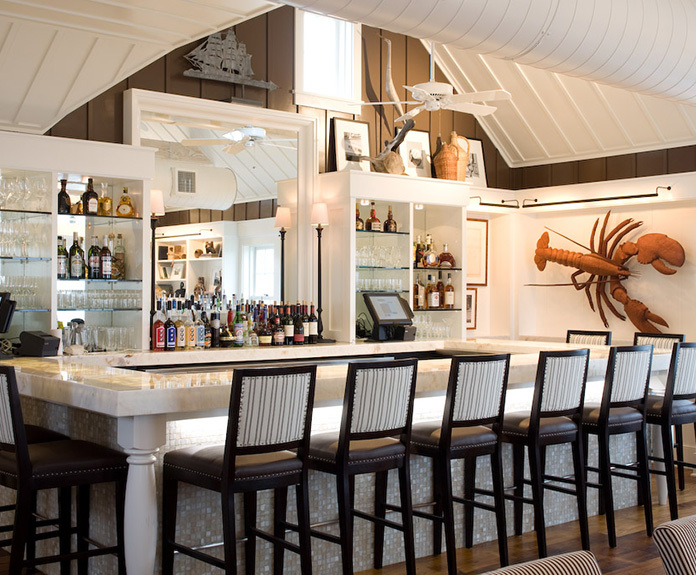 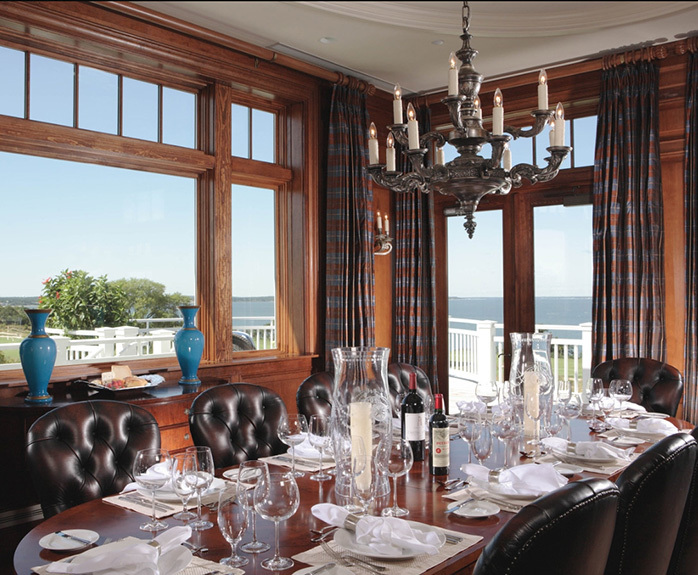 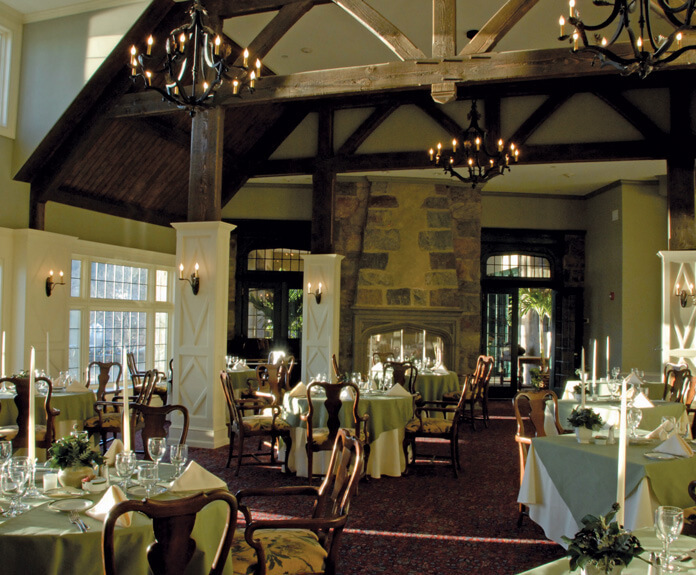 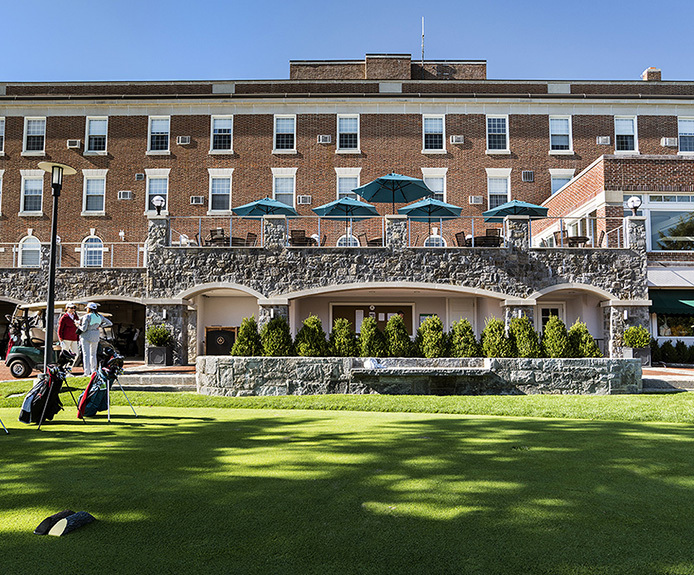 $5 million Beach Club renovations and additions for Westchester Country Club. 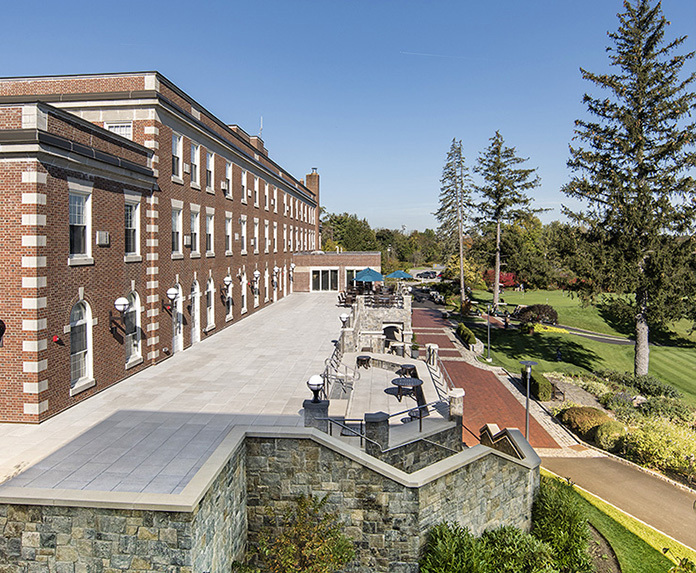 Redevelopment included reconstruction of the 2-story promenade, kitchen renovation, new snack bar and outdoor bar, ice cream bar, and locker room renovations. 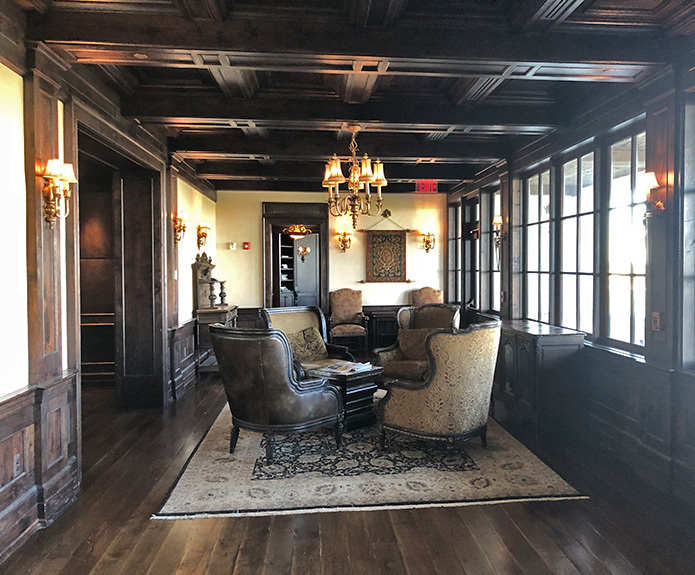 With high potential for storm damage, OLA’s team relocated the new electrical service to an elevated facility and electrical equipment was installed on the upper promenade for protection from inclement weather. 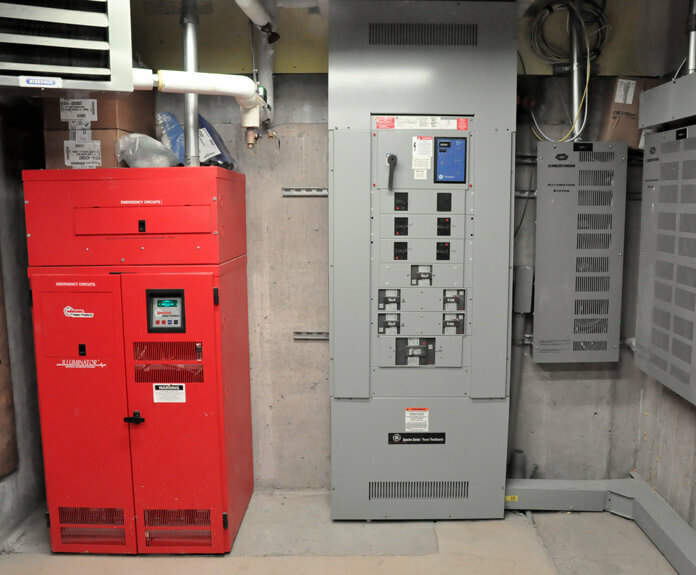 Mechanical upgrades included new HVAC systems to serve the renovated areas. 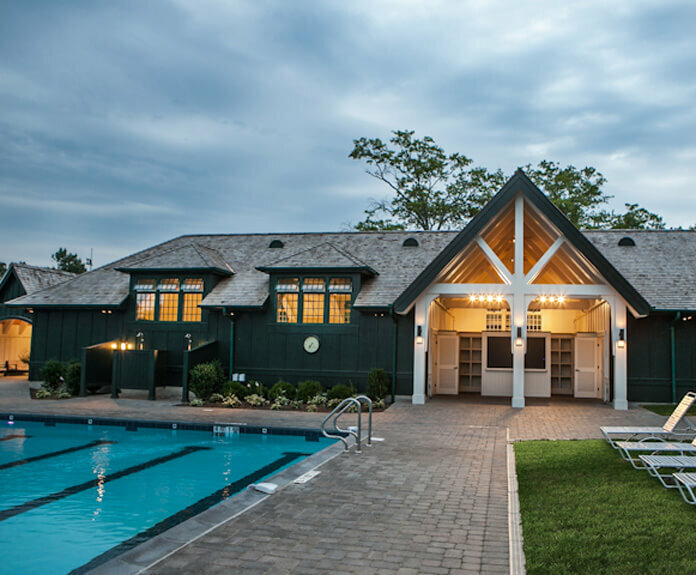 New Pool House and associated buildings replacing 1950’s structures. 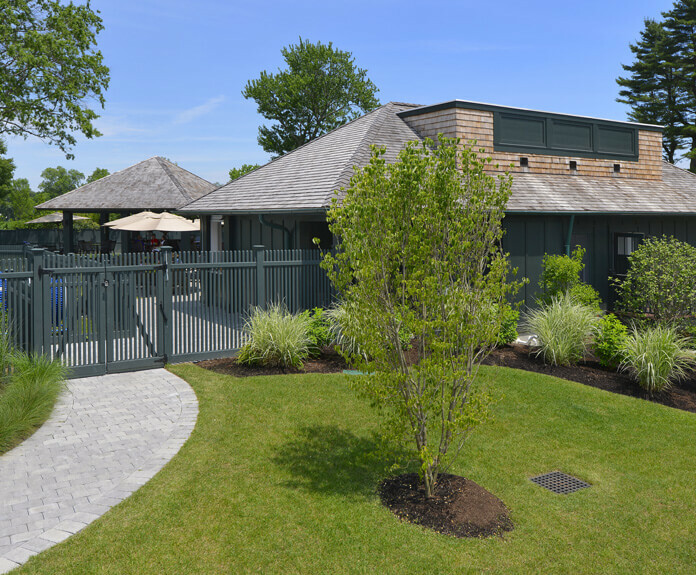 Resembling groupings of stables, renovated spaces consist of locker rooms, Activity building, Grille, and Bar. 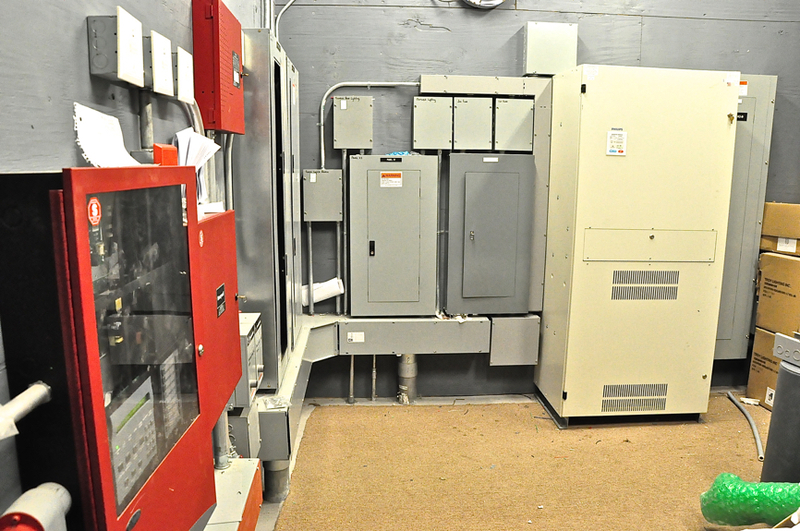 OLA’s team designed new HVAC equipment, sprinkler systems, gas service and extension of campus gas main. 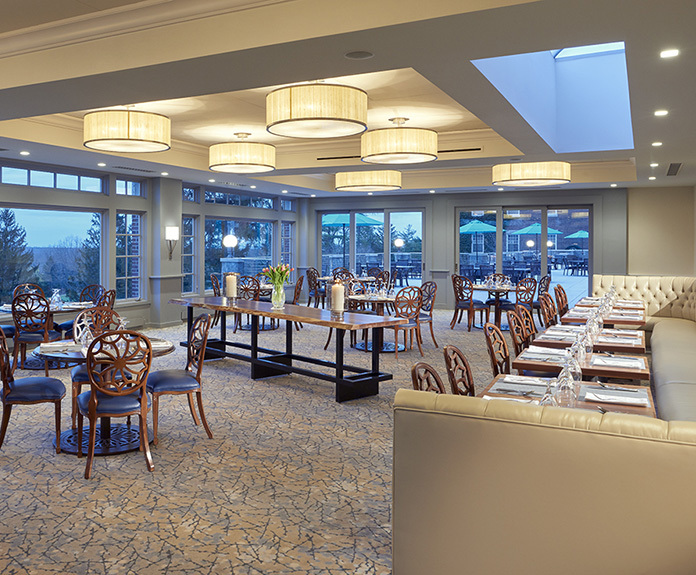 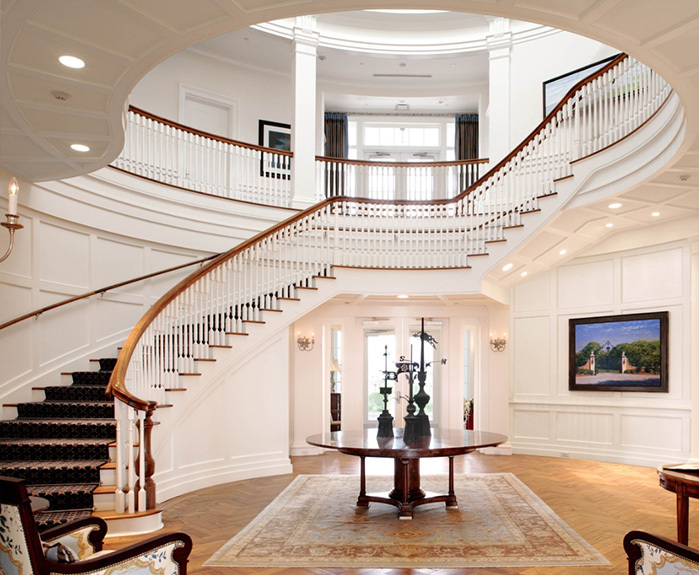 Electrical upgrades rely on natural light when possible and include power distribution, site lighting, lighting controls, and fire alarm system. 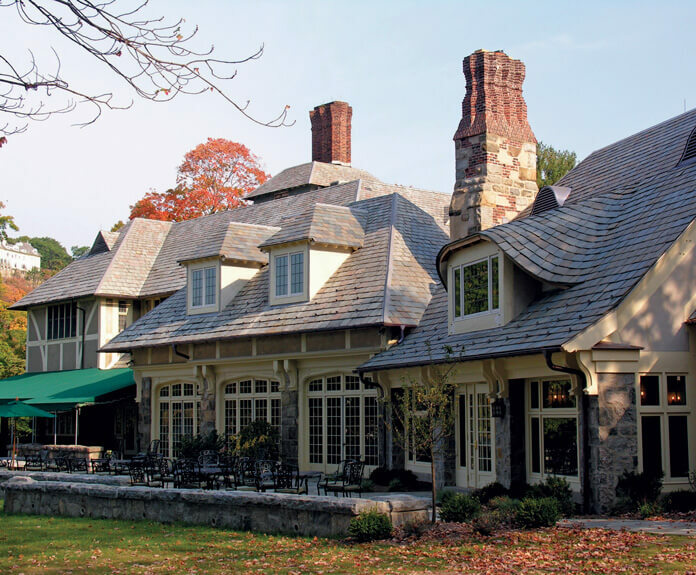 5,600 square foot spa for Westchester landmark, The Castle. 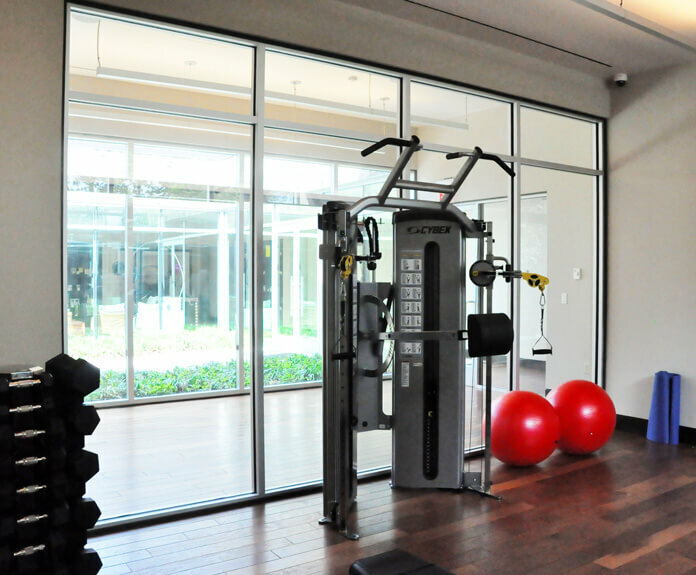 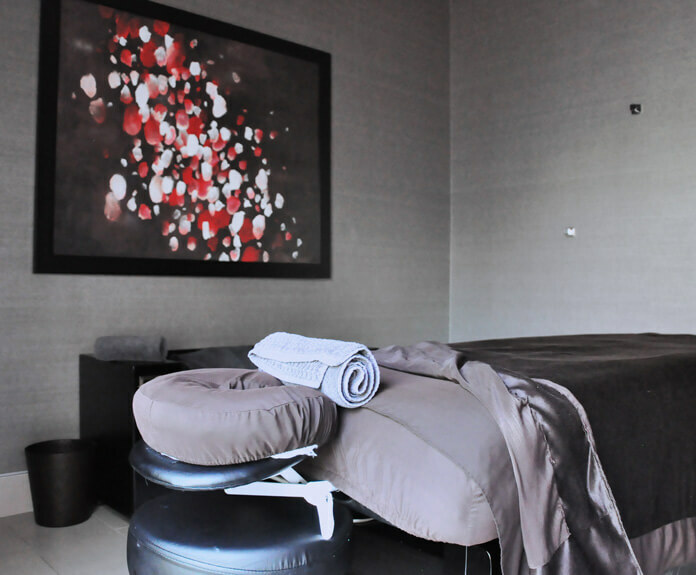 The new facility includes treatment rooms, spa pools, steam rooms, fitness studio, locker rooms, and relaxation lounge. 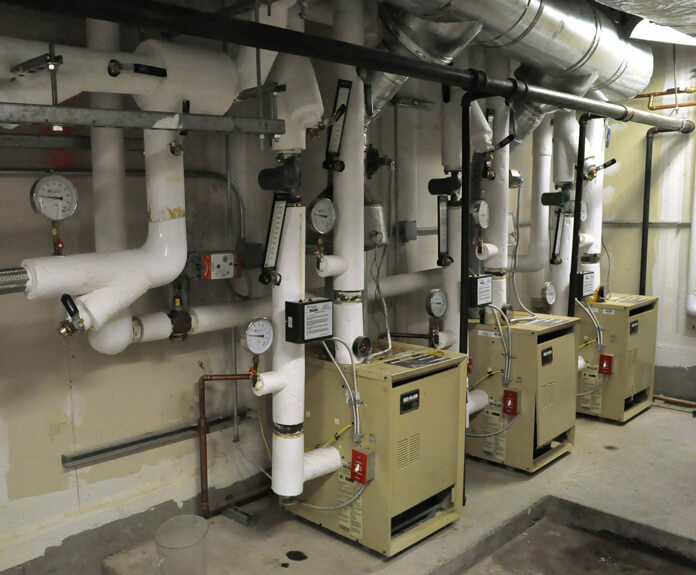 OLA’s team designed dehumidification, energy recovery units, condensing hot water heaters, hot water boiler, electric service, lighting controls, and audio visual controls. 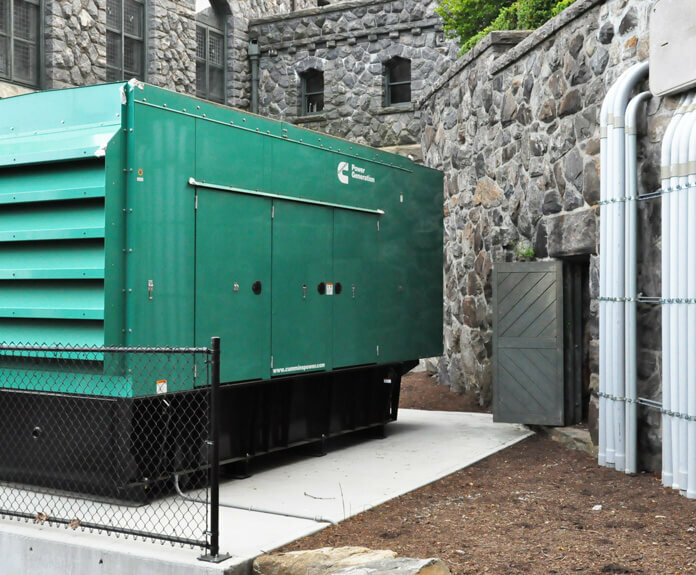 Included in the project, a 500kW generator was installed to back up the entire Castle ensuring guest comfort during outages. 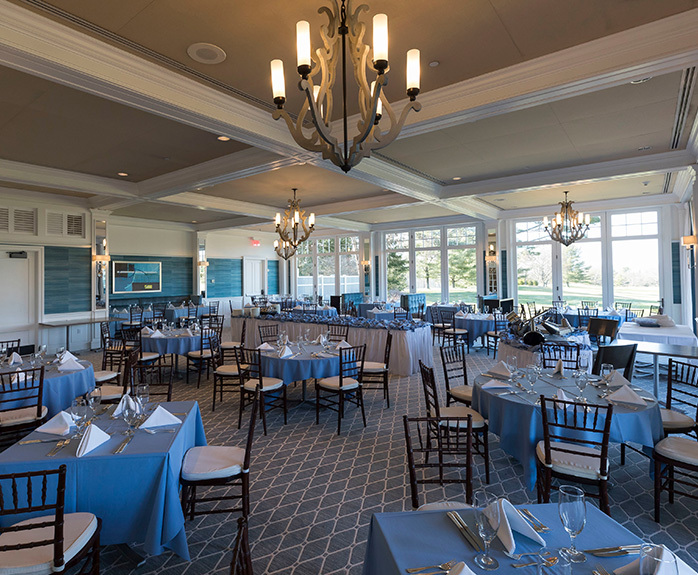 3,000 square foot renovation to the first floor of the Main Club House. 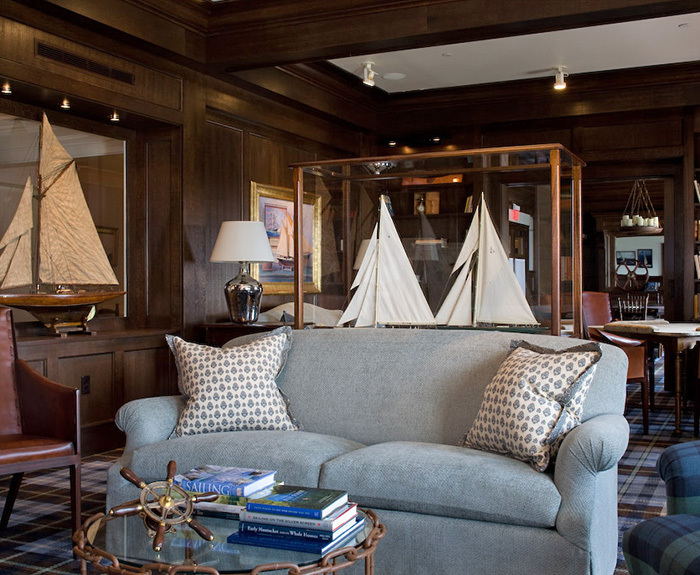 Development of a new private yacht club complex on Nantucket, which was the first yacht club built on the island in over 100 years. 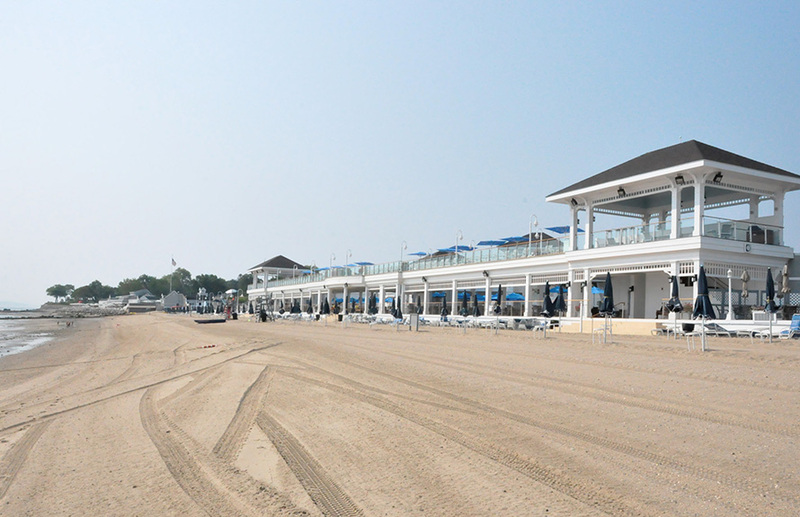 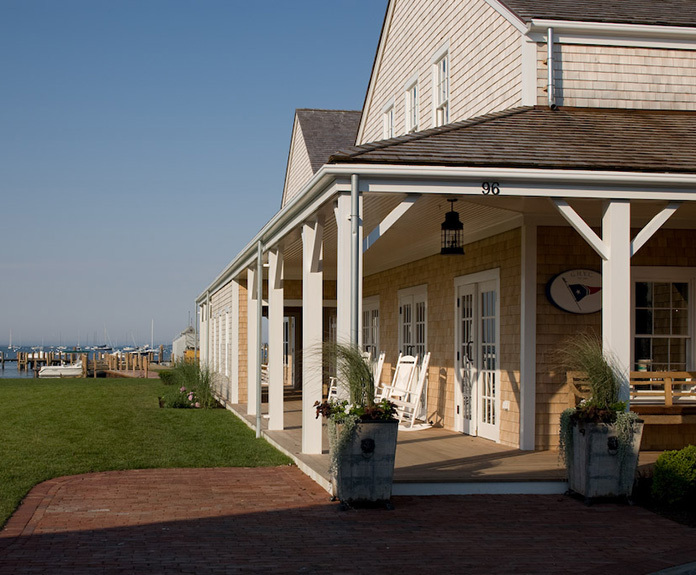 The new buildings in this complex include a 21,000 square foot, two-level clubhouse with multiple dining areas and kitchens, a 3,100 square foot junior sailing center building with snack bar, a 7,600 square foot, two-level sports building housing workout and spa facilities, and a 3,100 square foot marina building for boat service. 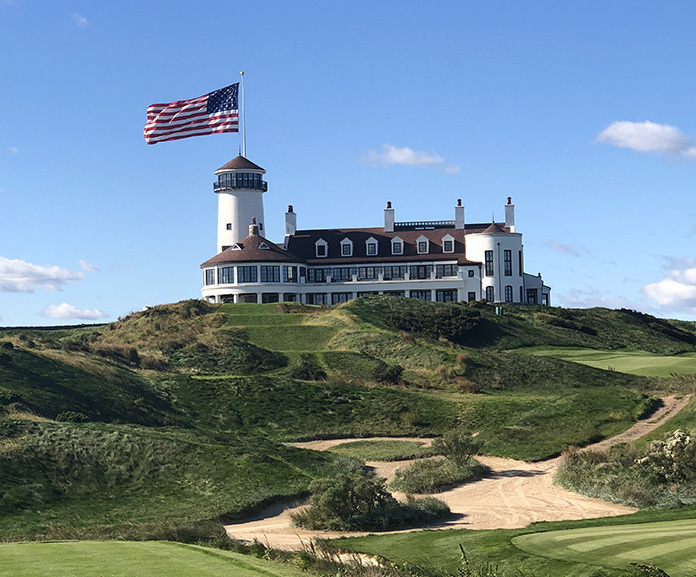 Development of a new private golf club between Shinnecock Hills and National Golf Links on Long Island. 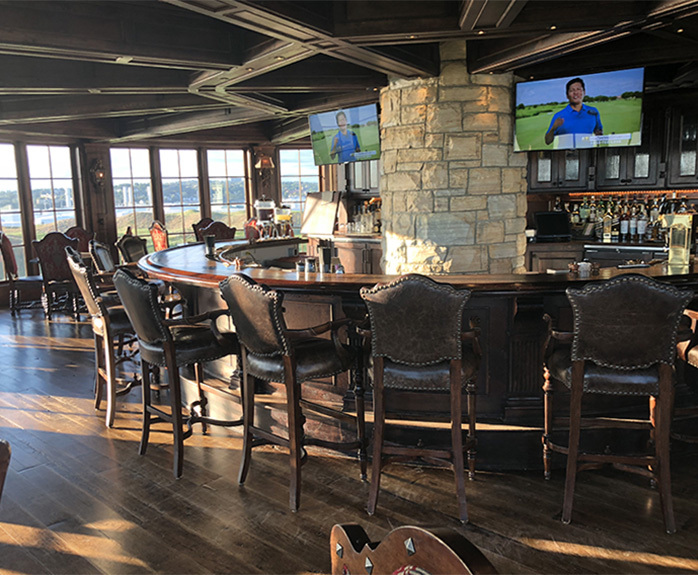 OLA performed the MEP systems design for the 30,000 square foot, two-story clubhouse with multiple dining areas, locker rooms, indoor and outdoor bars, pro-shop, and golf teaching center. 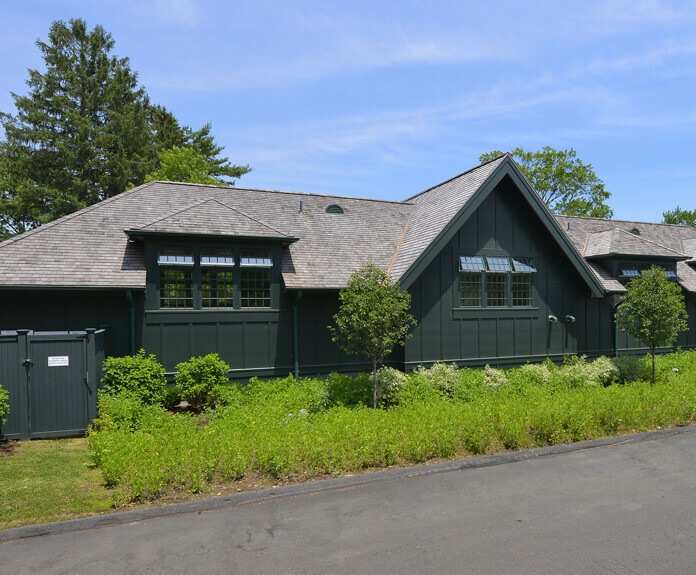 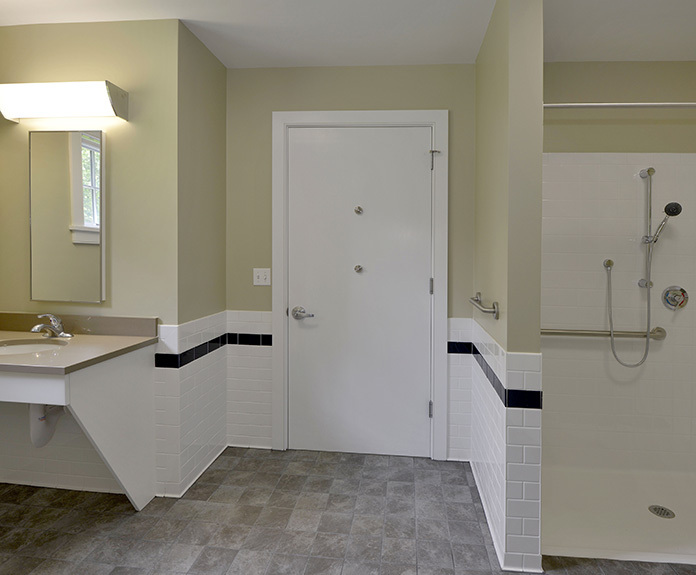 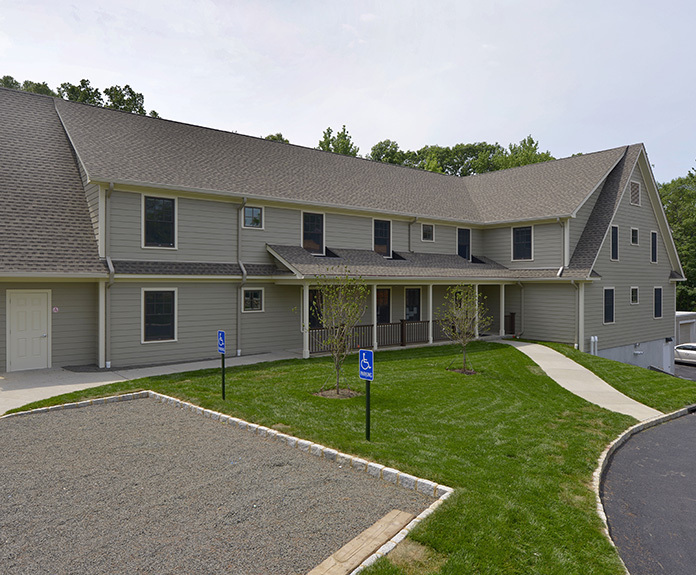 In addition, OLA performed the MEP systems design for ten single-story, 4-bedroom golf cottages and five two-story, 4-bedroom golf cottages; a 9,000 square foot, two-story staff housing building; and multiple maintenance buildings. 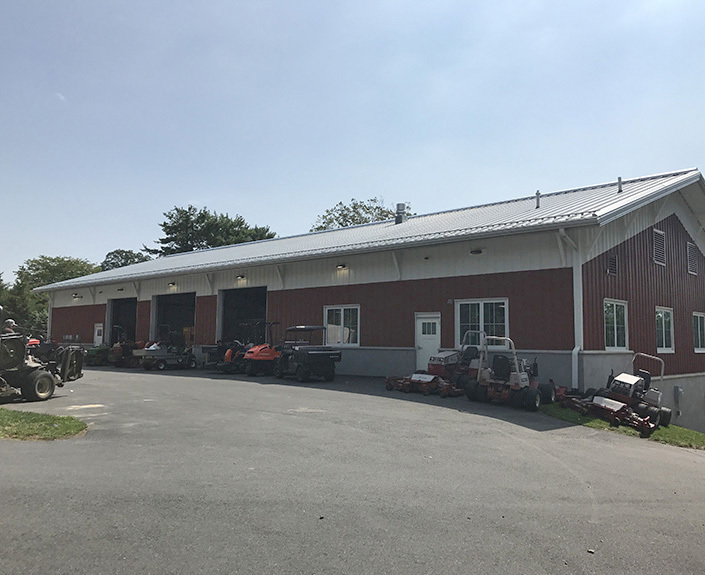 New 14,000 square foot maintenance building to replace existing. 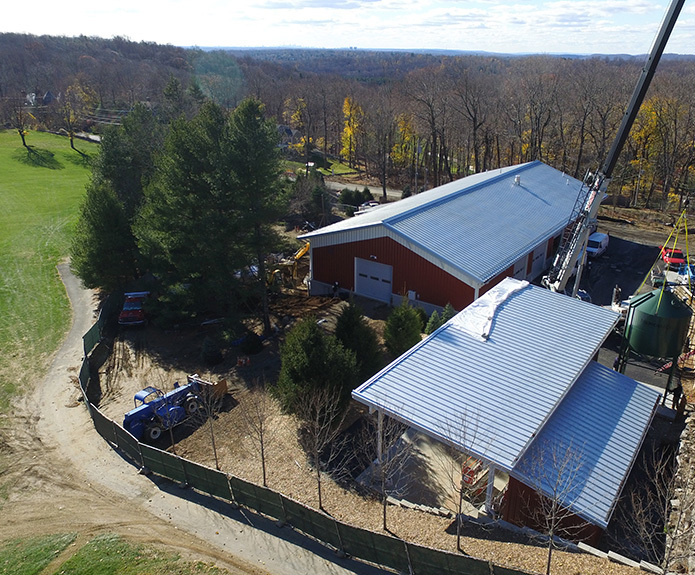 The new two-story space includes equipment storage, Superintendent Offices, service area, employee locker rooms, staff lunch area, bathrooms, material storage, and mechanical room. 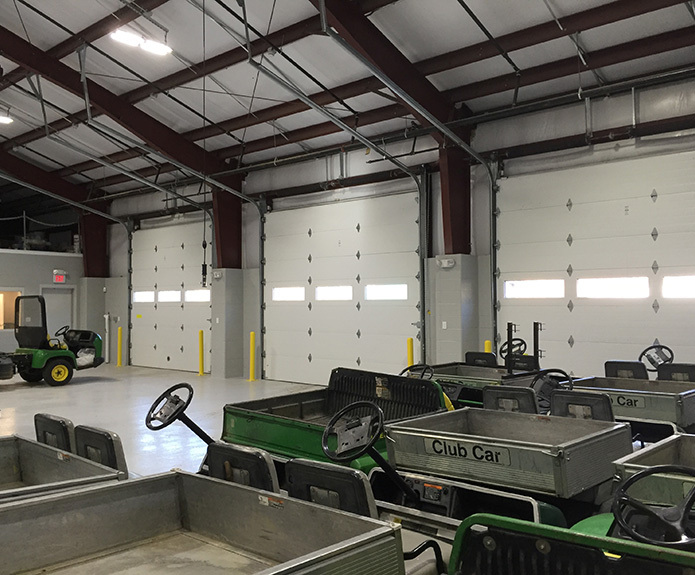 The service area was designed with cart charging stations, floor mounted hydraulic lift, and enclosed grinders. 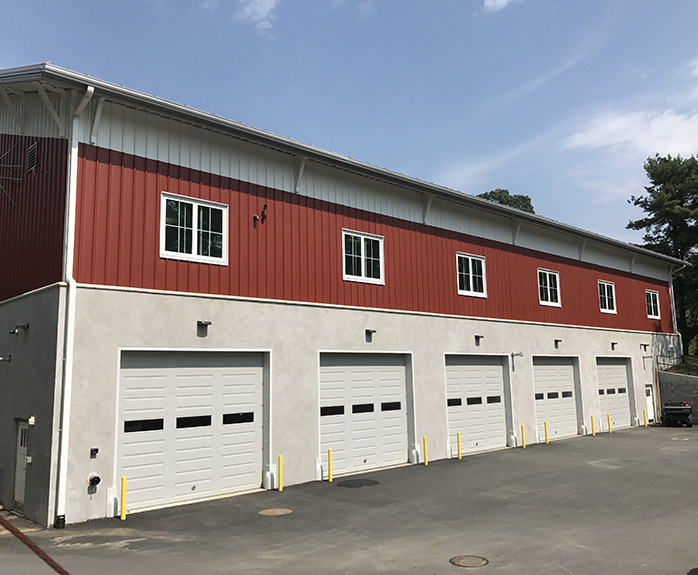 OLA designed the MEP systems design including heating and ventilation of the shop and storage areas, and full HVAC in the offices and locker rooms. 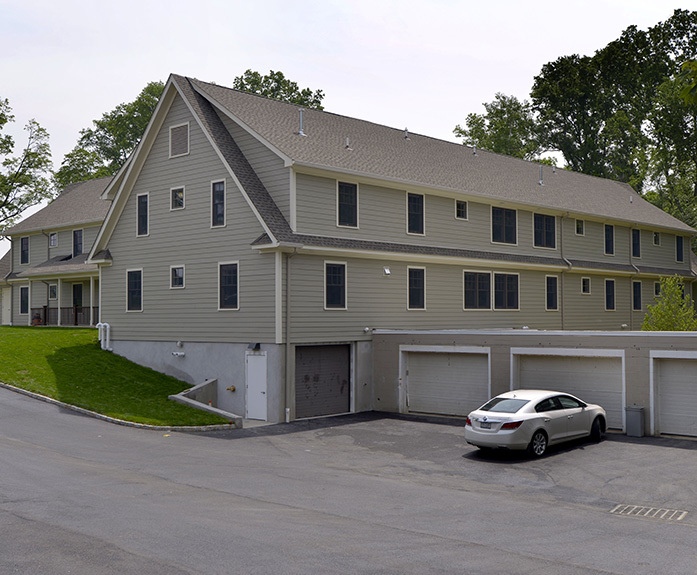 A new fire sprinkler system was also designed for the project. 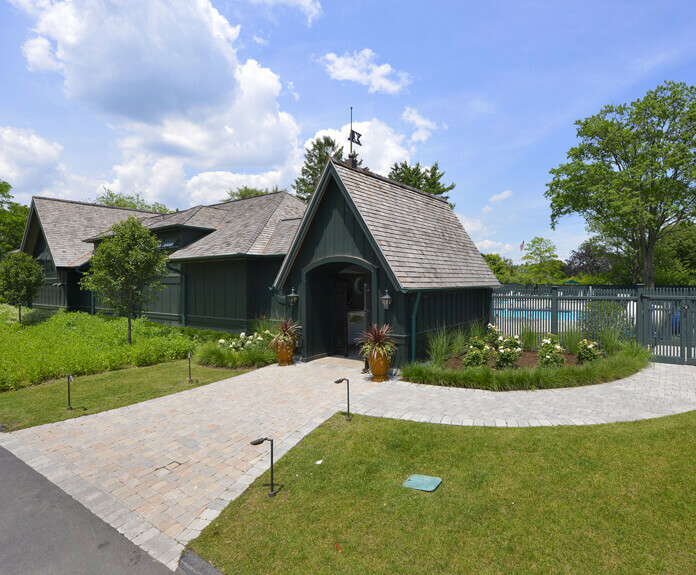 Renovation and addition of the historic clubhouse built in 1926. 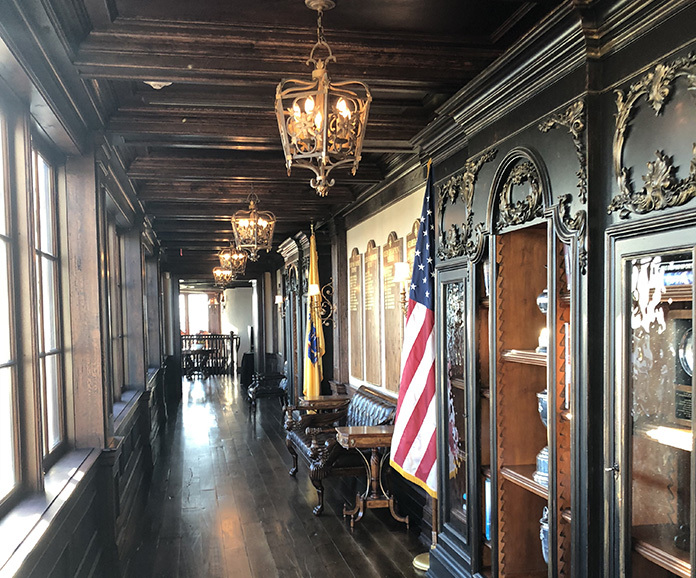 Restored spaces include new member’s dining room addition, completely renovated kitchen, outdoor terraces and banquet areas, and administrative offices. 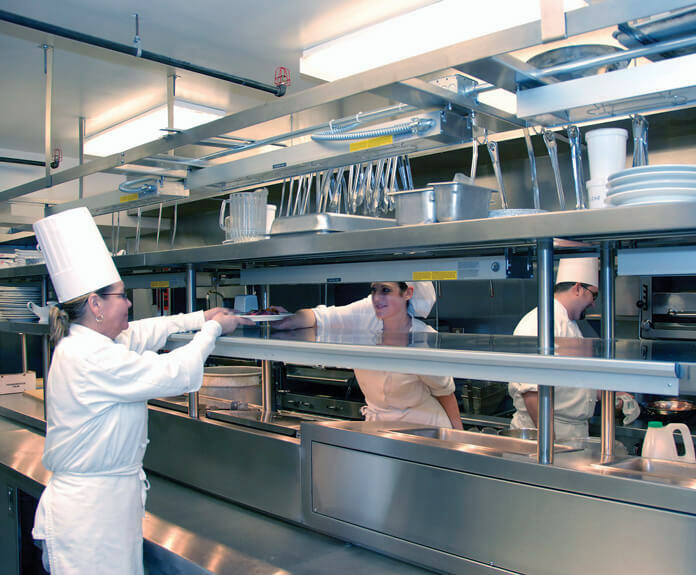 MEP design included a new central boiler plant for the building, HVAC upgrades in existing offices and other areas of the building, kitchen exhaust and makeup air systems, electrical service upgrades, and electrical equipment replacements. 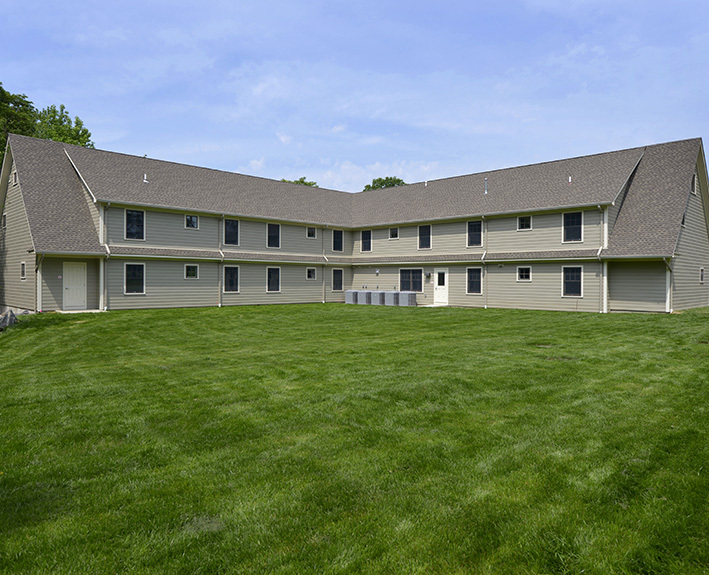 New 17,300 square foot staff housing building, and new 5,800 square foot caddy / storage building. 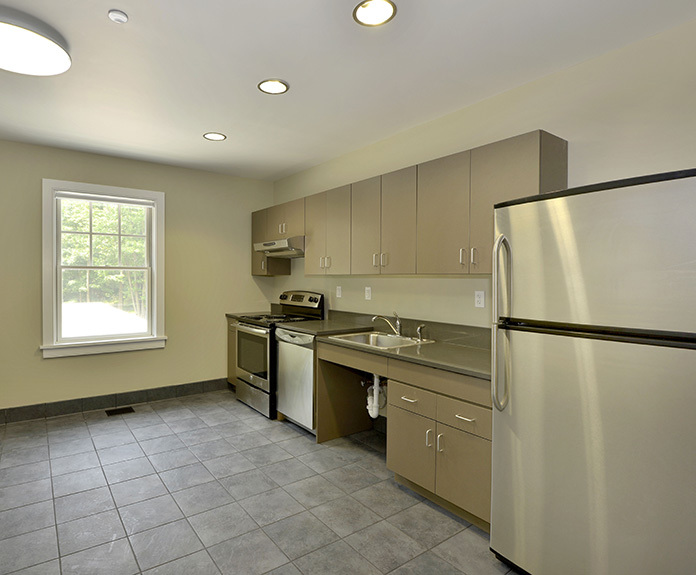 The new, two story staff housing building is a comfortable and luxury living facility consisting of two residential kitchens, two lounges, thirty rooms, private and shared bathrooms, and laundry facilities. 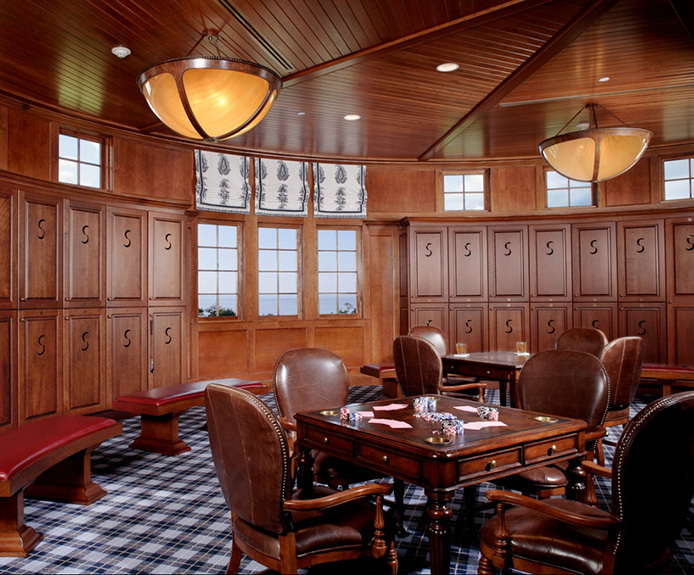 The caddy and storage building includes a locker room, storage rooms, pro shop storage, snack bar storage and walk-in refrigerator/freezer.